It’s poppy season in California, and this is turning out to be a banner year. I’ve already enjoyed one nice poppy shoot, but things are just getting started in Northern California so I hope there are more to come. When I photograph poppies, I don’t always use my macro lens. Even though my objective is similar to what I’d accomplish with a macro lens—a close view that excludes or blurs surrounding distractions—I often like to experiment with the creative flexibility other lenses provide. This also means that many of my so-called macro images technically aren’t macro at all. The generally accepted definition of a macro image is an image in which the subject is at least as large on the sensor as it is in reality. When we photograph an expansive landscape with a full frame camera, we’re cramming the entire scene onto a 24mm x 36mm (864 mm2) rectangle (“cropped” sensors have even less real estate to work with, while medium format sensors have more). But imagine your landscape includes a single flower, and you want to get a closer look. As you zoom your lens tighter on the flower, or position yourself closer, the amount of the scene you capture shrinks, while everything remaining in the frame expands. Pretty soon the flower occupies most of the frame. Your image doesn’t achieve macro status until the still visible area of the flower spans 864 mm2 or larger. It’s important to note that many camera manufactures will label a lens’s (or a point-and-shoot camera’s) closest focus point “macro” when all they really mean is just plain “close focus.” Getting closer will make the flower bigger, but unless you can focus close enough to reach that 1:1 threshold, it’s not a true macro. So, by the generally accepted definition, this close image of a recently sprouted poppy doesn’t qualify as “macro.” But in my mind it’s macro in spirit because I use an intimate perspective with a single point of focus, in this case to emphasize the poppy’s translucent petals and graceful curves. My goal in these pseudo-macro images is make viewers look closer than they normally would, and (I hope) to help viewers see the poppy as more than a pretty gold flower. To achieve that for this image, I tried something a little different. Shooting this afternoon with my Sony a7RIII, I started with my Sony 100-400 lens to allow a little working distance from the various poppies I targeted, then switched to my Sony 90mm macro to move closer to my subjects. When I wanted to get closer still, I brought out my extension tubes and switched back and forth between these two lenses. But the more time I spent out there, the closer I wanted to get. Sprawling on the ground to work on this tiny new poppy, for something different I decided to try my 24-105 lens. At 24mm I was able to focus very close, but even wide open I had too much depth of field to properly blur the background, so I did what many say you’re not supposed to do: use extension tubes with a wide angle lens. With this arrangement the focus tolerance was microscopic, but when the poppy finally did snap into focus, my lens was so close they nearly touched. I’m a tripod evangelist because in my approach to every scene, from macro to landscape, an image is not simply a click, it’s an incremental process: compose, expose, click, evaluate, refine, repeat until satisfied. Refining and repeating a standard landscape without a tripod is difficult enough; with macro and its minuscule tolerances, working without a tripod becomes nearly impossible. For an image like this one, the tripod provides and another, less heralded advantage. This tiny flower was just a few inches above the ground, forcing me to sprawl in the weeds and awkwardly contort my body to avoid smashing the surrounding poppies. Holding this position as I refined my composition and waited for the breeze to pause was just plain uncomfortable, so every minute or two I had to stand to stretch and rest my cramped and fatigued muscles and joints. But each time I was ready to return to my subject, the composition I’d left was waiting patiently, right there in my viewfinder. Because of the breeze, I bumped my ISO to 1600, which my a7RIII handles without even breathing hard. Freezing the poppy’s motion at 1/1000 of a second wasn’t hard, but because every time the wind moved the poppy, the focus point changed, I had to wait for the wind to die long enough for the poppy to return to the equilibrium position I’d focused on. The orange blobs you see in the background are more poppies, less than 8 inches away. As you might imagine, between my own images, my photo workshop participants’ images, browsing other photographers’ pages, and simply being connected to social media, I see a lot of images. A. Lot. Of. Images. And curse or blessing, I can’t help but have opinions—whether my own images or others’, some work wonderfully, others not so much. There’s a lot that goes into creating a successful image, but if I could whisper in the ear of every photographer just before they click the shutter, it would be a reminder to, “See the entire scene.” It happens to all of us: We’re so drawn to a pretty scene or striking subject that we become blind to what’s happing in the rest of the frame. And it’s the what’s happening in the rest of the frame that separates a mere pretty snap of a beautiful scene from wall-worthy print that satisfies for years. Writer John Gardner talked about creating a “vivid and continuous dream” that so completely immerses readers in the imaginary world on the page, the physical world surrounding them temporarily disappears. Any distraction that jars the reader from the page and back into the present world is a failure. The same applies to photography. 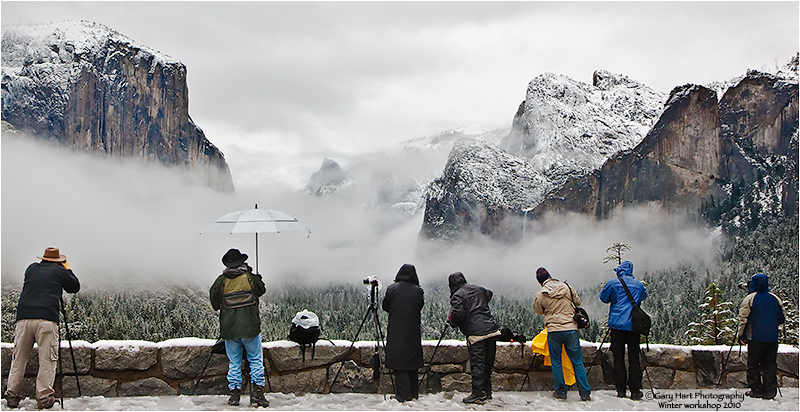 As nature photographers, we invite the viewers of our images into a virtual world of our creation. To encourage these viewers to stay and explore our virtual world, we might offer them a fresh perspective, enable vicarious travel, or perhaps tap latent memories. Regardless of the reason, the longer they stay in our virtual world, the more successful our image. But when a jutting branch on the frame’s border reminds viewers of the world out the scene, or a bright rock tugs their eye and competes for attention with scene’s prime subject, our spell is broken. Sadly, nature rarely presents itself exactly as photographers want it. So many decisions we make are compromises: we bump the ISO to enable the small aperture and fast shutter speed the scene requires; we cut off a rock on the left because panning right would introduce garbage can; we can’t tighten a composition to eliminate a shrub because doing so would cut the top of a mountain; we don’t polarize the sky because the polarizer erases a rainbow; and on and on…. Given these realities, our goal doesn’t need to be perfection, it’s often just to slow down and see the entire scene to ensure the decisions that bring our image as close to perfection as possible. 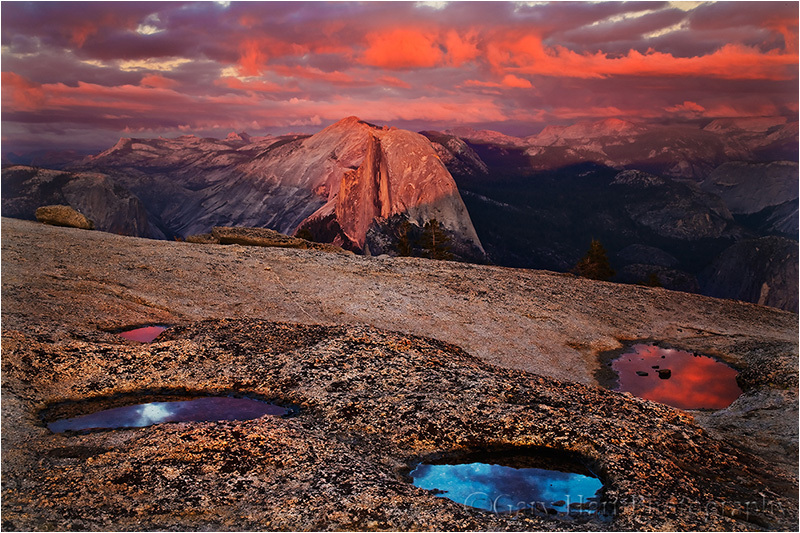 This flooded Yosemite meadow is a spring phenomenon caused by extreme runoff following a relatively wet winter. Some years it doesn’t happen at all, but last spring’s Yosemite workshop group was fortunate to be there during the few days the Merced River overflowed its banks here (I returned a couple of days later and found the river had receded). I could have plopped my tripod down (or simply raised my camera to my eye) anywhere in a 100 yard radius and been virtually assured of a beautiful picture. But as beautiful as it was, and as much as I wanted to start clicking, my first stop to take it all in had some problems. From my original vantage point, the stand of trees on the right obscured the Three Brothers, so I moved left along the water’s edge. But given more trees on the left, it soon became clear that part of El Capitan would be obscured. My compromise was to find a spot that exposed both El Capitan’s nose and the Three Brothers. I’d left the car with my Sony 16-35 f/2.8 GM Sony (on my Sony a7RIII) body because that lens had a polarizer for controlling the reflection—dial it up for the maximum reflection, dial it down to reveal the grassy texture just beneath the water, and maybe even a find midpoint with some reflection and some submerged grass. But 16mm wasn’t wide enough, so I sacrificed reflection control and switch to my Sony 12-24 f/4 G lens. With my position and lens worked out, I was ready to frame my composition. I felt a little sense of urgency because I didn’t want to miss the rapidly moving splashes of light scooting across El Capitan, but I also didn’t want to rush so much that I missed a problem in my frame. In this case I took care to ensure that I got all of El Capitan and its reflection while avoiding a few breaks in the clouds just above this view. I also used the evergreen on the left and the arcing trunks on the right to frame those borders. And by making sure my camera was perfectly level, I managed to keep my vertical lines straight. Depth of field at 12mm wasn’t a concern; I chose f/10 and focused on the far bank knowing everything would be sharp. Motion wasn’t a concern, so I could just use ISO 100 and go with the shutter speed that gave me the best histogram in the viewfinder (I love mirrorless). I spent most of the last week in Yosemite and can confirm that spring has definitely sprung there. The Merced River, swollen by snowmelt, is overspilling its banks, flooding meadows and submerging riverside trails. Reflections are everywhere, and viewing the waterfalls without getting wet? Forget about it. Another spring highlight is the moonbow that colors the mist beneath Yosemite Falls. A fortunate convergence of Yosemite Falls’ southeast exposure and the angle of the rising full moon when the snowmelt is at its peak make Yosemite one of the best locations in the world to witness a lunar rainbow. I was able to photograph it three times last week, twice with my workshop group and once with a private tour customer. Easily visible to the naked eye as a silvery arc in the billowing mist, a long exposure reveals the moonbow’s true colors. But of all the spring treats Yosemite offers, for creative photography I think the dogwood might be my favorite. For just a few short weeks in April and May, these graceful blooms shower Yosemite Valley with splashes of white that remind me of the Fourth of July sparklers of my childhood. But unlike the ephemeral sparks of a sparkler, the dogwood progress in slow motion so I can appreciate them at a much more relaxing pace. I found this branch at the Bridalveil Fall vista on Northside Drive, about a mile east of Valley View. The river was gold with late light, and the air was still as I went to work on the scene. Careful positioning allowed me to juxtapose three layers in my frame: in the foreground is the dogwood branch with varying degrees of detail; the middle-ground is a blend of heavily blurred redbud and more dogwood; all this spring beauty stands out against a backdrop of the sunlit Merced River. I experimented with different depths of field by varying my f-stop, focal length, and focus distance until I was satisfied. My goal that morning, crystalized on the drive to Yosemite, was to juxtapose a sharply focused, foreground dogwood flower against a Yosemite icon softly focused in the background. I wandered Yosemite Valley in a light rain for a couple of hours before stumbling upon this blooming dogwood tree with Bridalveil Fall in the background. To frame Bridalveil with this pair of flowers I had to drag a log over to stand on, and extend my tripod’s center post much farther than I’m comfortable with (the center post is not terribly stable). 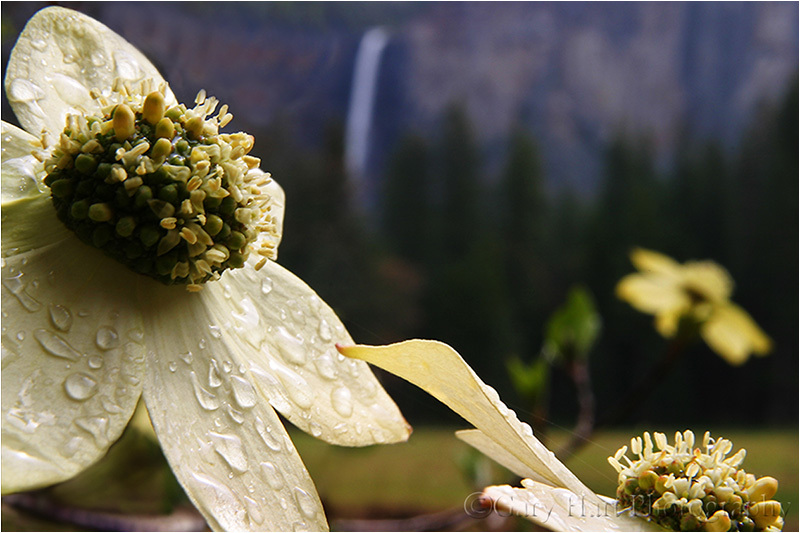 An extension tube enabled a close focus that exaggerated the dogwood and softened Bridalveil Fall. Focused that close, getting Bridalveil sharp enough to be recognizable required me to stop down to f22. Fortunately there was no trace of wind. Someone recently told me they overheard a couple of photographers stalking this tree, talking about my dogwood image, hoping they could duplicate it. While I was flattered, this need to replicate images makes me scratch my head. It’s what creates tripod traffic jams in Antelope Canyon on sunny days, at Mesa Arch every sunrise, and beneath Horsetail Fall each February, to name a few. I’m not saying I don’t have my share of derivative images, but they just don’t give me the satisfaction I get from creating something that I feel is uniquely my own. I tell my workshop students that images that move them to action are great, but they should be the starting point and never the goal. In other words, take an image that excites you and find put your own creative twist to it. For example, while I have no desire to duplicate any image (my own or anyone else’s), I do return to “my” dogwood tree because I love the way it aligns so perfectly with Bridalveil Fall. 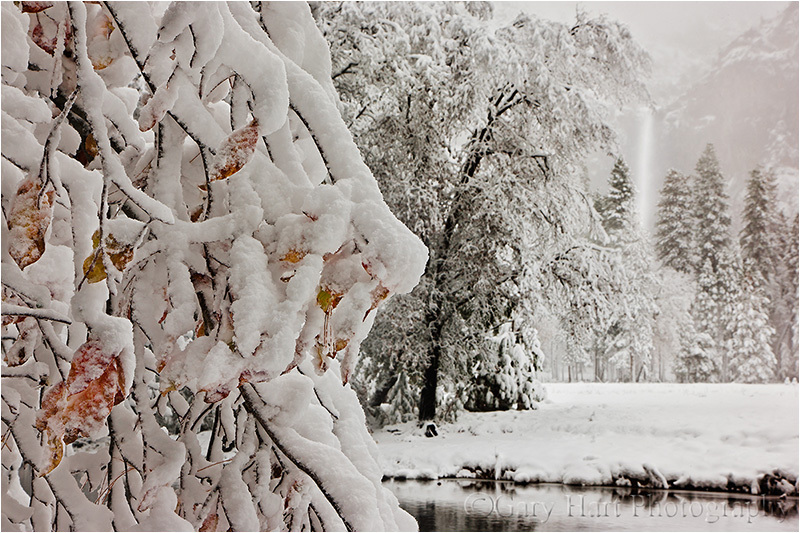 A couple of years ago I was in Yosemite during an early snow storm. Many (shocked) colorful fall leaves remained on the trees, suddenly fringed with snow. Wanting to create something that showed the collision of fall and winter and still said Yosemite, I thought of this dogwood. Sure enough, I found a host of colorful leaves clinging like Christmas ornaments and composed something that achieved my goal. The dogwood were blooming beautifully during my Yosemite workshop that ended Saturday, so one morning I took my group to the Bridalveil dogwood tree. Of course the conditions were entirely different, but from what I saw on several LCDs and during the workshop image review, lots of new images were created. I even tried my own hand at something different, breaking out my 100-400 lens and isolating a sunlit branch wide open at extreme telephoto. I haven’t had a chance to see whether I captured anything worthwhile, but I’ll let you know….